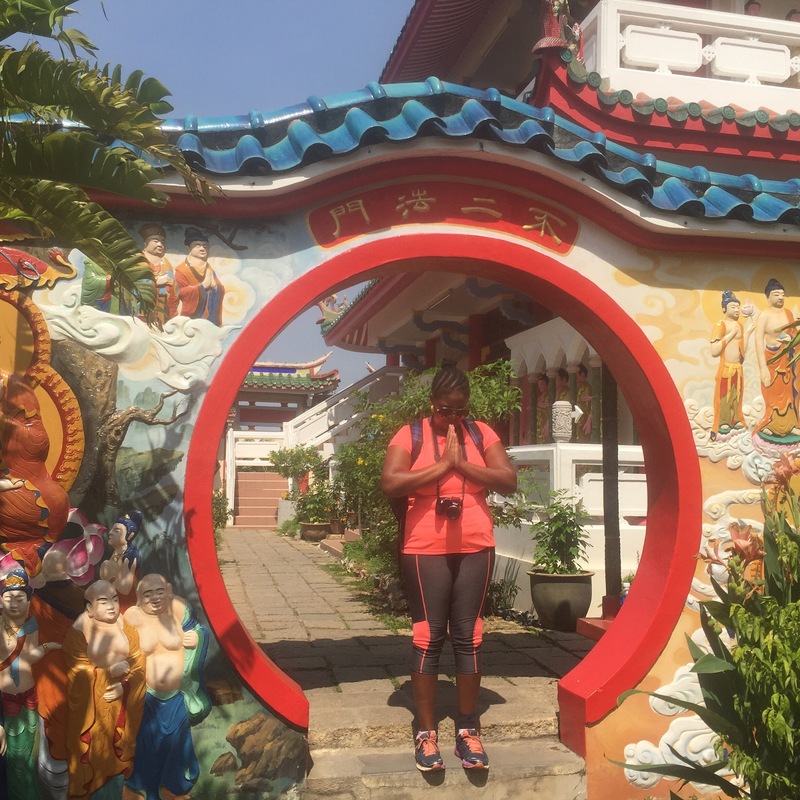 Malaysia oh Malaysia…The most slept on country in SE Asia! I believe that Malaysia rocks! Malaysia has something for everybody; whether you want big city country, or beach lifestyle, Malaysia has it! I’m so glad that I went and not only stayed in Kuala Lumpur but also flew up to Penang. Like I mentioned in my Top 5 Reasons to Visit Perth, I went against what people told me about Malaysia and decided to go and find out for myself! I love going to cities and/or countries that people tell me not to or that I won’t like it, just to prove them wrong. So I’ll provide a short recap on this fascinating country. So I learned the hard way that you should cover up in Malaysia. I completely forgot that Malaysia is predominantly Muslim and even after passing all these beautiful ladies with their bodies completely covered, it didn’t click until I went to a local grocery store and had a couple men follow me. Now I wasn’t scared or anything but it made me realize oh shoot Ashley…you have SHORTS and a SPAGHETTI STRAP shirt on! I was dressed out of comfort, and instead I should’ve dressed more to culture. Whoops! I think the men were very intrigued by so much skin because that’s not the norm. Nonetheless, I started wearing longer pants and shirts while I was staying in the Putrajaya area. 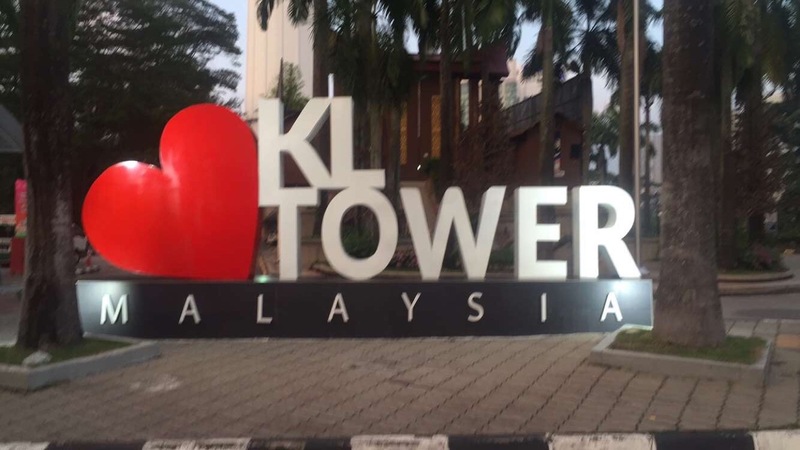 Being in the city of KL was totally different, like night and day! I got to bring the shorts back out lol. This experience is what I needed to remember to humble thyself and be respectful. Chicken satay and fried eggplant! Yummy! At times I struggled with the food in Malaysia because it has such a strong Indian influence, and for people that know me…I do NOT like Indian food. I don’t know if it’s the curry or the turmeric powder, but I just can’t hang. While in Malaysia, I continued to eat fried rice and fried noodle that I had grown to love in Indonesia. Malaysia’s fried chicken was amazing as well! I just don’t know how to describe it, it doesn’t sit on your tummy like fried chicken does back home (no nasties). If I did find myself at an Indian restaurant in Malaysia I would find some reprieve in the naan bread, I’d have naan every which way…buttered, with garlic, and if I was feeling extra fancy I would have it with cheese! Once again, you gotta do what you gotta do! And this girl loves to eat! I’m telling you right now, if you go to Malaysia and skip Penang you are doing yourself a major disservice! It’s an absolute MUST! I’m talking about eating, beaching, drinking, and art every turn! 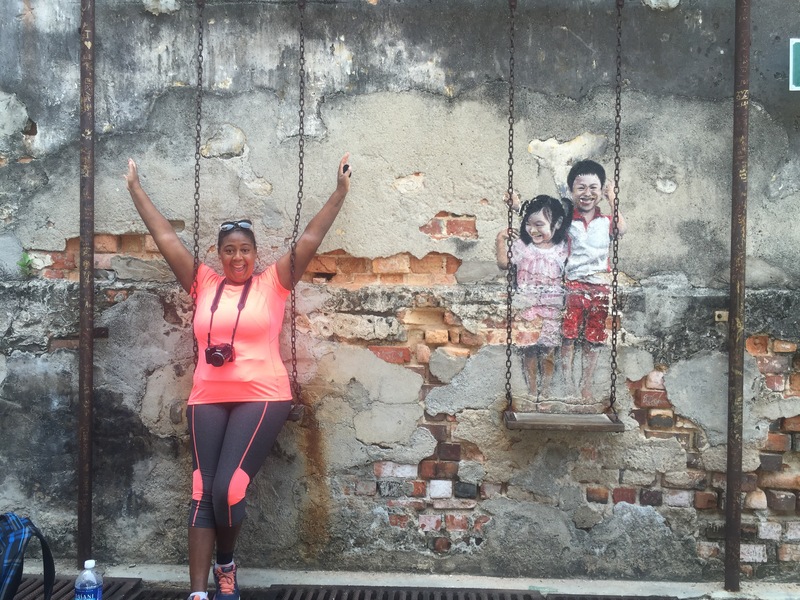 I didn’t know anything about Penang until I got to Malaysia, as I just usually show up to a country and figure things out. I’m so glad I listened to many people’s suggestions and came to Georgetown with its cool and artsy atmosphere. I had no idea that Georgetown was known for street art and as I began to walk around and notice that not only can you take pictures of it, you can be a part of it! That part was especially cool! I had the pleasure of meeting a girl who took me around Georgetown and showed me how the locals live. The restaurants and bars she took me to were amazing! 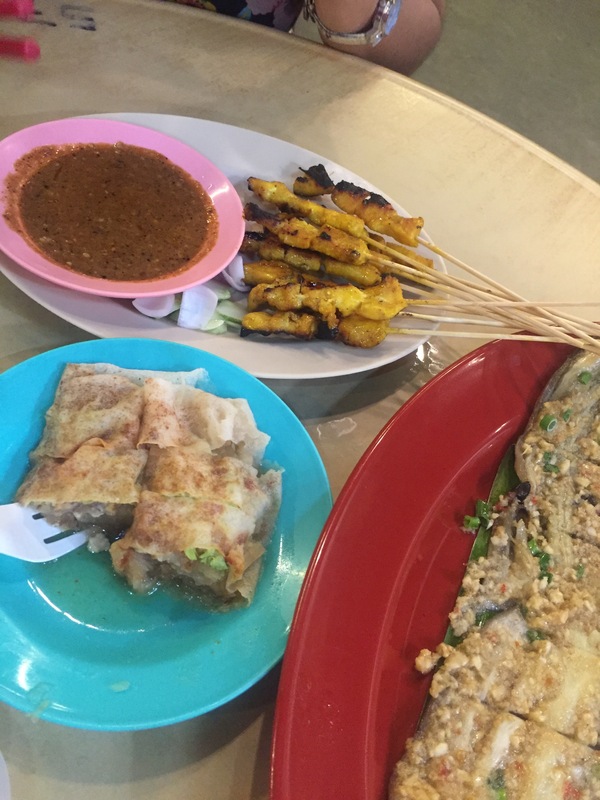 Street food so cheap and drinks so delicious…my mouth is just watering thinking about it! She showed me what to order so that I could actually enjoy my food and not have to rely on eating naan all the time lol. It was nice to connect with someone who has a similar background and knows where to go and what to do! One day I’ll come back to Penang and I’ll make sure I’m ready for some great diving! Surprisingly, Malaysia has a lot of touristy things to do and see. There’s the Kek Lok Si temple, Penang Hill, Petronas Towers, KL tower, and Batu Caves complete with monkeys 🙄. 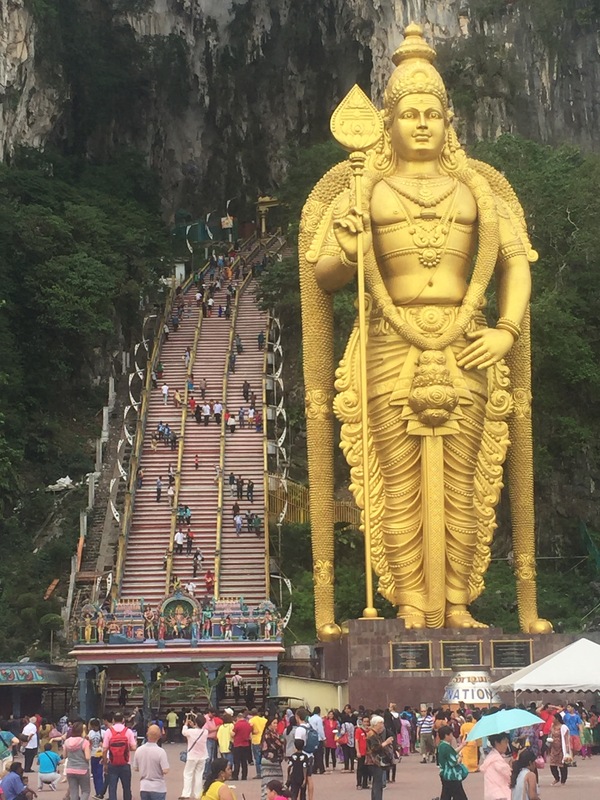 The Batu Caves was a highlight for me as I was proud of myself for climbing all 272 stairs to the top. I mean I was sweating like a pig while going up and huffing and puffing but I made it! I actually got to see a Hindu prayer ceremony going on, it was so neat to be able to witness how they worship their deity. The huge statue that can be seen from the highway is called Lord Murugan and it is the second tallest Hindu deity in the world. Another impressive sight was the KL tower and Petronas Towers. I was able to first see them during he day when I went up to the top of the KL tower and took pics of of the Petronas Towers. The best time to see these towers is at night. The KL tower lights up and there’s a show to go with it. As well as the Petronas towers light up and if you are near to take pictures, it is breathtaking! [wpvideo WyPCE4uY] If I had to do it all again I would have spent more time in Penang, but I’m thankful for the time I did have there! Please don’t skip Malaysia if you do a SE Asia tour, you’ll be pleasantly surprised by how eclectic the culture is and how nice the people are! I’m sure glad I went! Very well written. You are an excellent blogger. I don’t remember u saying one bad thing about Malaysia. The pics of street art were amazing. I got a piece of it in my postcard. Lol. Every pic u sent me you were smiling in so I can Tell that Malaysia really is that great. Glad u got to visit this country (I think I had a little help in that) lol. Keep blogging discovering and dream chasing.